I went to the Zoo recently with Eva, a friend and the friend’s not quite 2 year old (then; since then, the child has become 2). While there, I took some photos, as I am wont to do. So I’m sharing them with you all, also as I am wont to do. 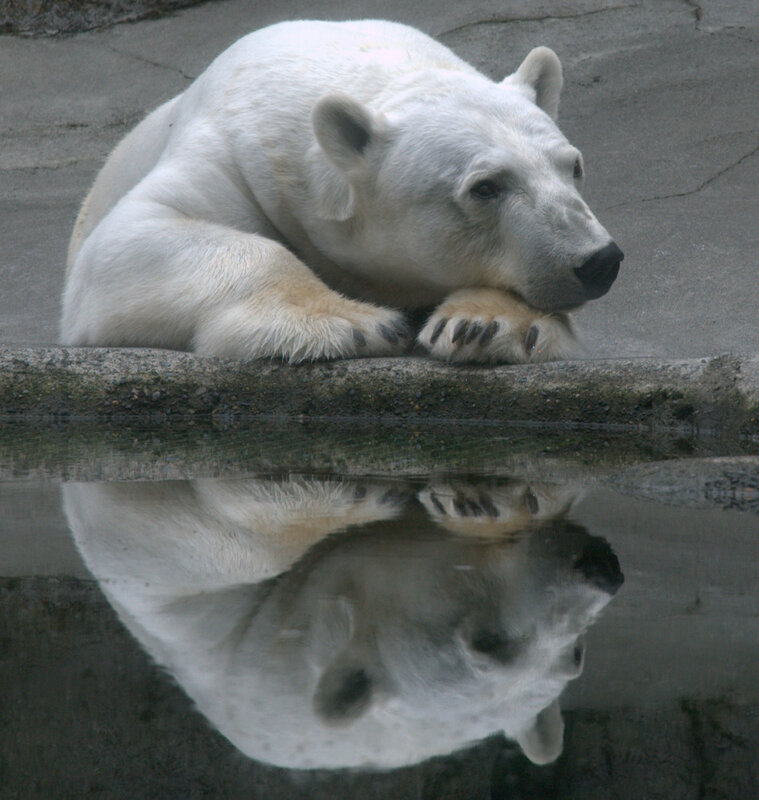 Because, after all, isn’t everyone’s day improved by the presence of a polar bear? 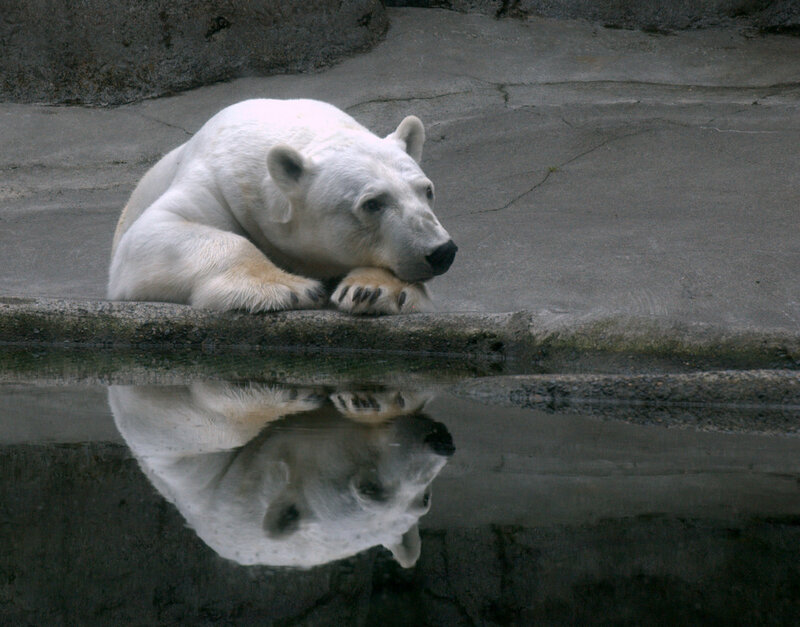 The Polar bear was definitely among the most photogenic of the animals we saw that day. 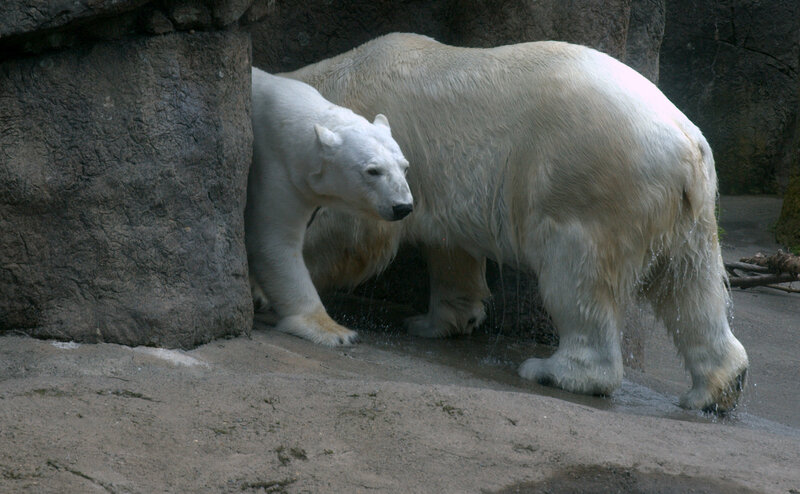 In fact, there were two polar bears wandering around together. And by together, I mean at the same time, but not really ever getting around to acknowledging one another’s existence. 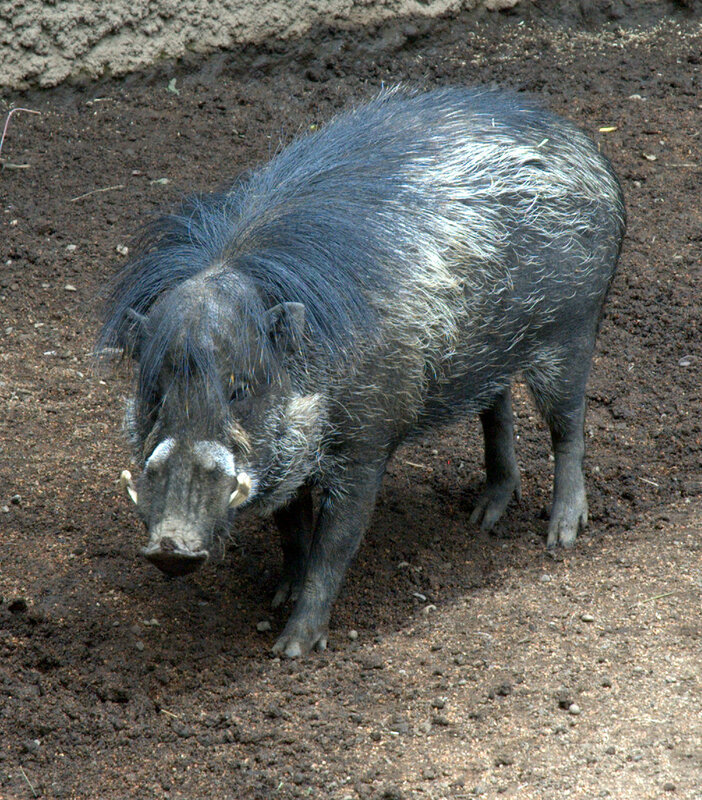 As everyone knows, I’m a cat person, and that extends to the less domesticated of the cats who are present at the Zoo. 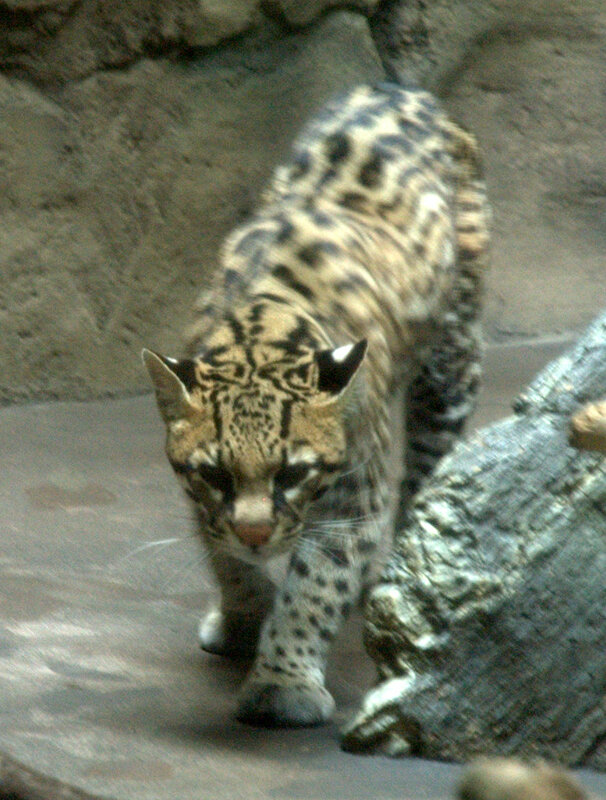 The ocelot, a small cat, despite a name that sounds like it should belong to a marine invertebrate, was a challenging subject. 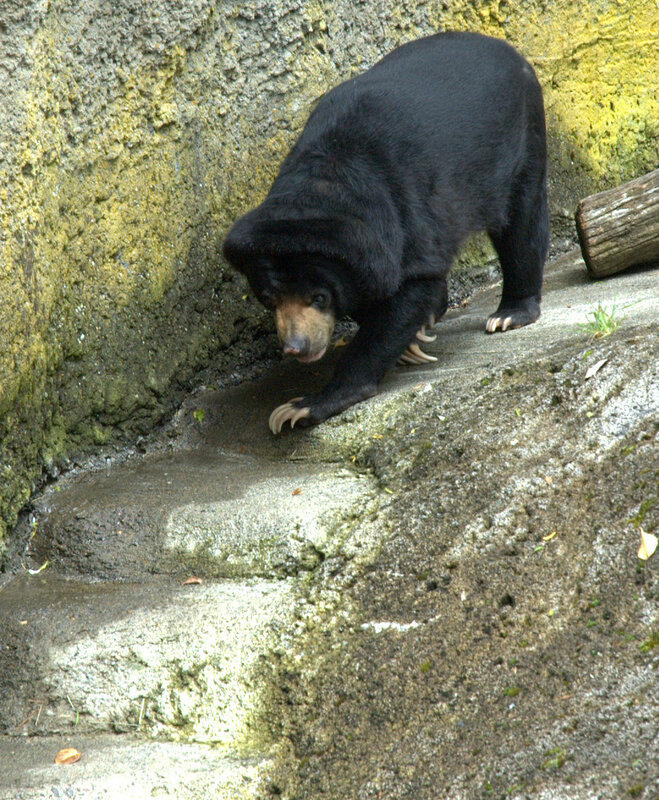 He was walking quickly, and often not where I wanted him to. Did I mention that he’s a cat? 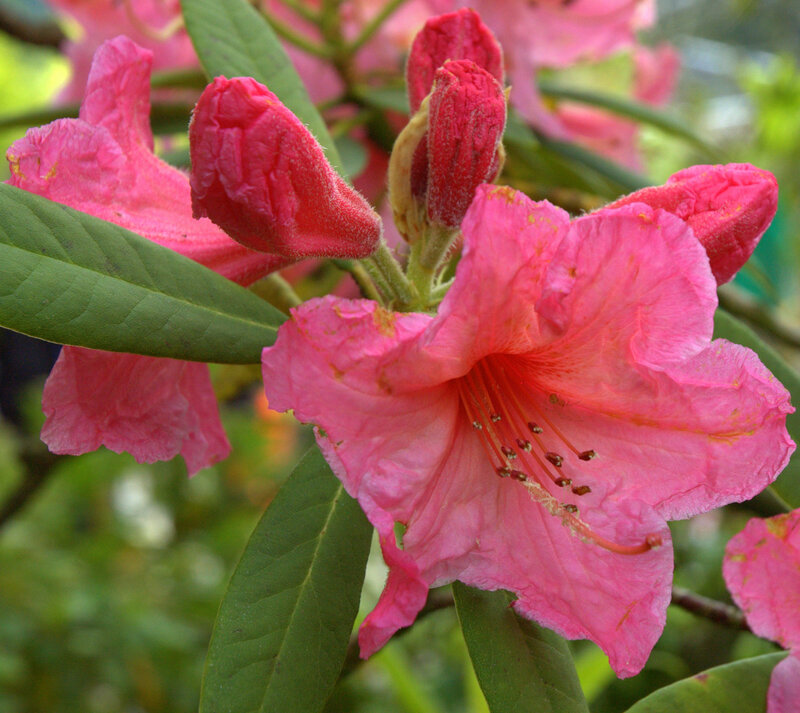 A much easier photographic subject is the rhododendron. It stood completely still, for which I was very glad. I’m particularly pleased with the texturing of the flowers in that photo. 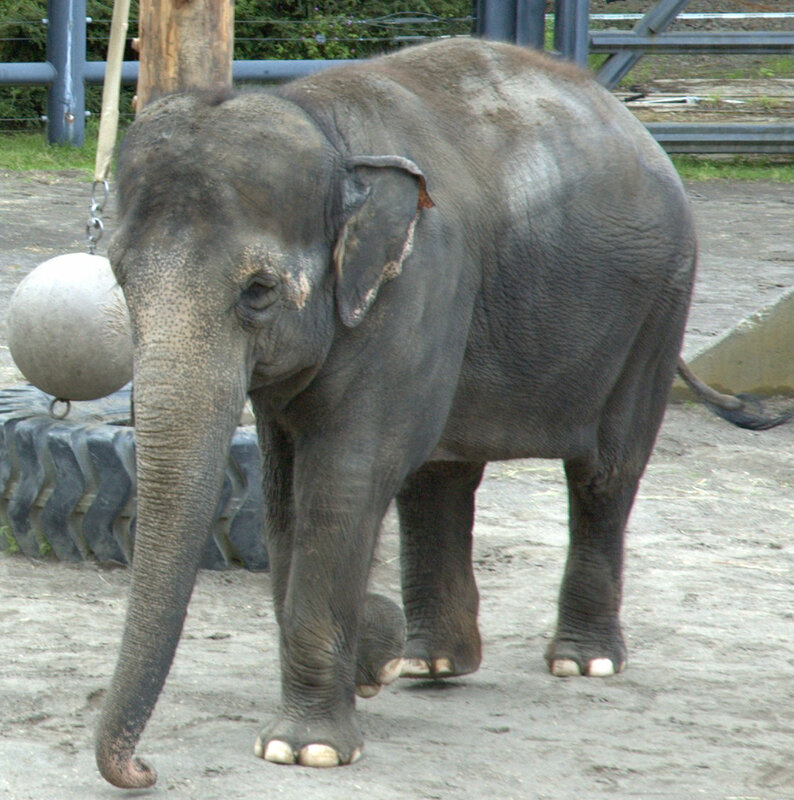 In the gallery below, you can find a few more photos: Elephant, warthog, sunbear. 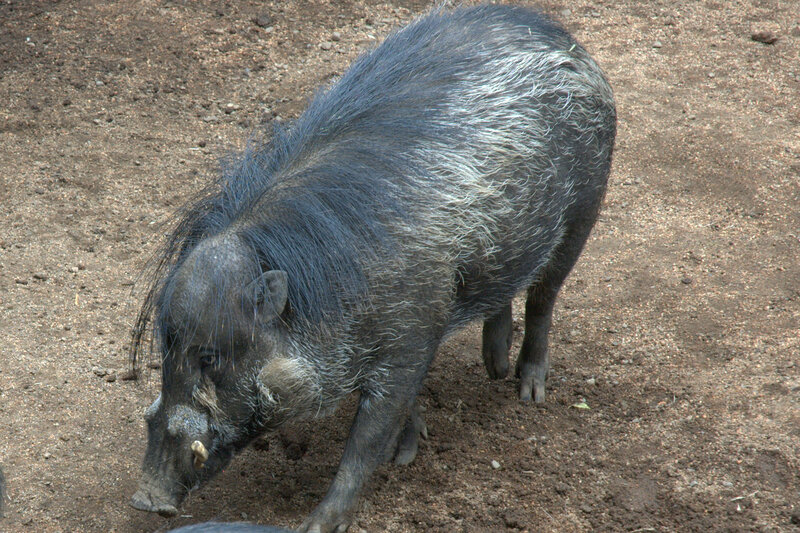 All in all, a day at the zoo. In pretty much all spiritual traditions I’m aware of, there exists the discipline of surrender: the acknowledgement that we are not in control of our destinies, regardless of our delusions to the contrary. Certainly this is a central feature of most 12-step programs, but it has its roots in traditional spiritual paths as well. It is a based on a sense of humility: the idea that no matter how we may see ourselves, we do not really have control. This realization is not meant to free us from the obligation to live our lives in the best way we can. Rather, it is to acknowledge that no matter how carefully we may plan, we cannot force our lives into a certain path. When push comes to shove, there are elements of life that are beyond our control. Tonight, I come face to face with that need to surrender. No matter how hard I may try to fall asleep, I seem to remain awake. And so, I surrender, and admit that I cannot force sleep to come. And write one of the five or so blog posts running through my head. Each year, I find the Jewish holidays are a little different. It’s not that the holidays have changed, of course, but I have. This year, Tisha B’Av is speaking to me differently than it has in the past. (For a look at what I have thought about Tisha B’Av in the past, see here or here). Tisha B’Av marks the destruction of the first and second Temples in Jerusalem. It is a day of mourning and lamentation. It is a day that I often have trouble relating to, seeing as I don’t actually want to go back to a Judaism that is based around the Temple in Jerusalem. Yet this year, the sense of mourning destruction is resonating with me. 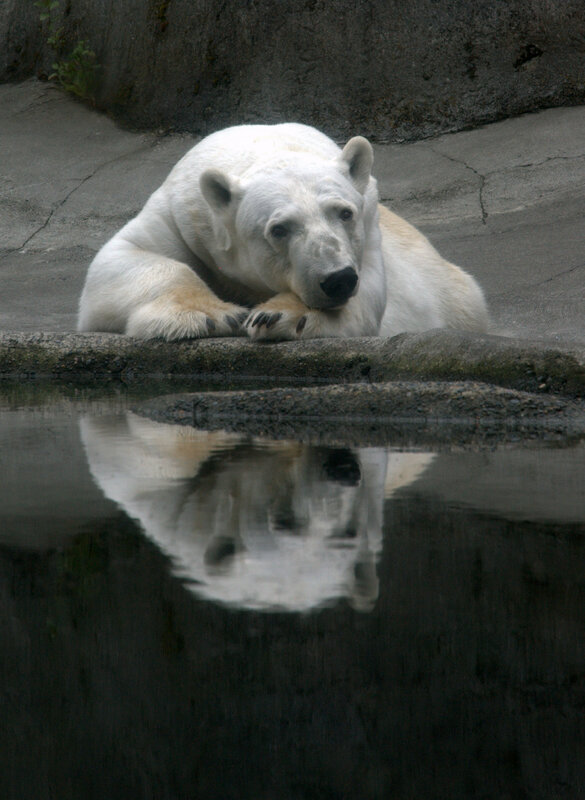 I find myself feeling like there are a lot of us mourning a vision of our world that seems to have been destroyed. There was an optimism to American life and worldview that seems to have gone, and many of us are beginning to wonder if it will return. There is a sadness present, both in those searching for work, and those who are employed but remain fearful of what the future will bring. We are facing an unknown future, as did the Jews following the destruction of the Temple. They didn’t know what it meant to be Jewish without a Temple in which to make sacrifices. We aren’t sure what it means to be American without a limitless economic horizon stretched before us. Yet Judaism transformed, and became something far more vibrant than it had been. And America also has the potential to be revitalized. It does, however, require a willingness to accept that the world is changed. I was about to write a really good Tisha B’Av post. I even had something to say that’s different from what I said four years ago or what I said two years ago. But then I ran into a problem. There’s a cat on my lap. Dancer (who is being renamed to Giles), chose this morning to get on my lap, and hang out with me. For the first time. Ever. And he’s purring. Which leaves me unable to get into a proper lamenting state of mind. Which makes it hard to write a good Tisha B’Av post. Which leaves me explaining to you all why I’m not writing this post, rather than writing it. Oh well, several days left for me to actually write a lamenting post. It’s Friday afternoon, and Shabbat is on the way. I’m doing a last twitter and Facebook check, and I’m noticing something: the pieces are coming together. I have a friend and colleague who has just realized that she has a special skill which some of us have been encouraging her to capitalize on for a couple of years now. It looks like it just sunk in that she’s good at doing this thing, and she likes it. And that the rest of us aren’t. The wedding, which has been in the planning stages for months, is now, pretty much fully prepped. The plan is written, and all I have left to do is a little polishing. It’s all coming together. Time to let thing roll, and to take their course. Often, life feel like a struggle; it feels like we are swimming against the current, trying desperately to make things happen. Then, occasionally, we look around, and see things falling into place. I wonder, how much falls into place on a regular basis without our noticing? How much happens which we just take for granted? Sometimes, I think in our struggle to make things happen, we fail to notice what happens on its own. Just a quick thought as we head into Shabbat. I suspect that many of you who read my blog know that I am fond of cats. 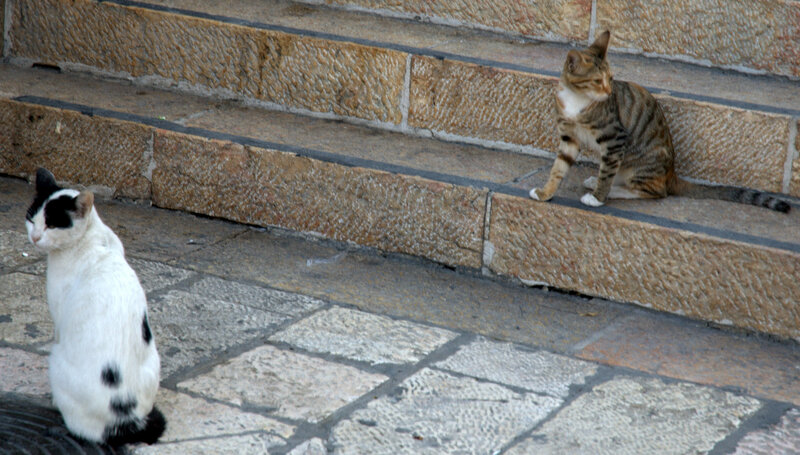 The recent trip to Israel provided a great opportunity for cat watching–and photography. 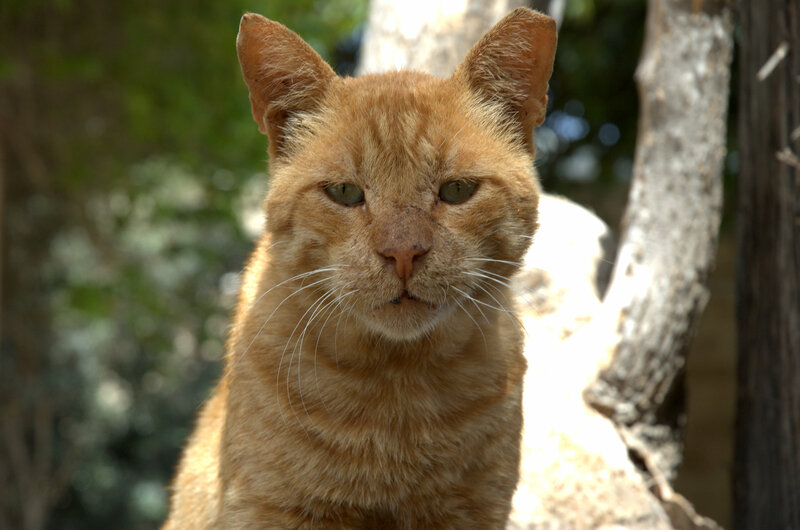 Throughout much of the Mediterranean, street cats are a constant presence, and part of the urban ecosystems. Israel is no exception, and I had some fun with the camera. 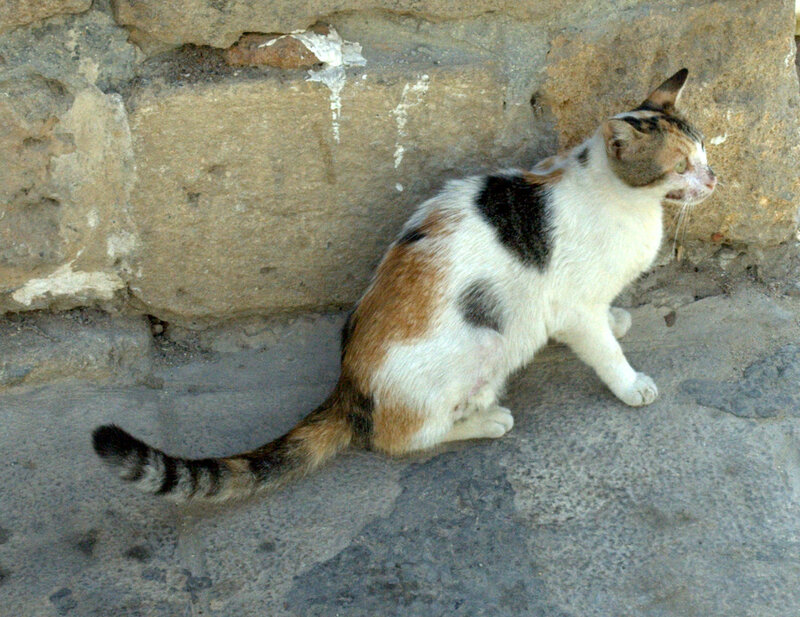 This cat and I made our acquaintance in Acre. A friendly sort, he enjoyed conversing and lounging. He was, however, very clear on one point. That was his tree. 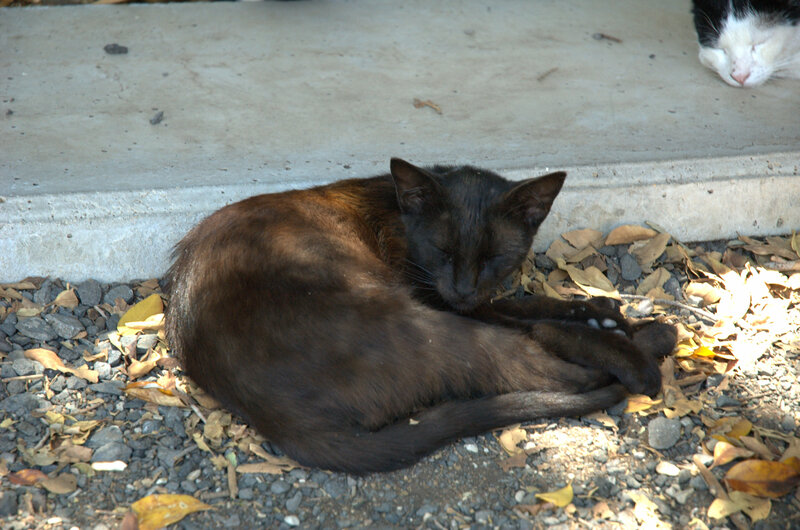 Like many of the cats, he was fairly solitary, though there were a few other cats in the neighborhood. 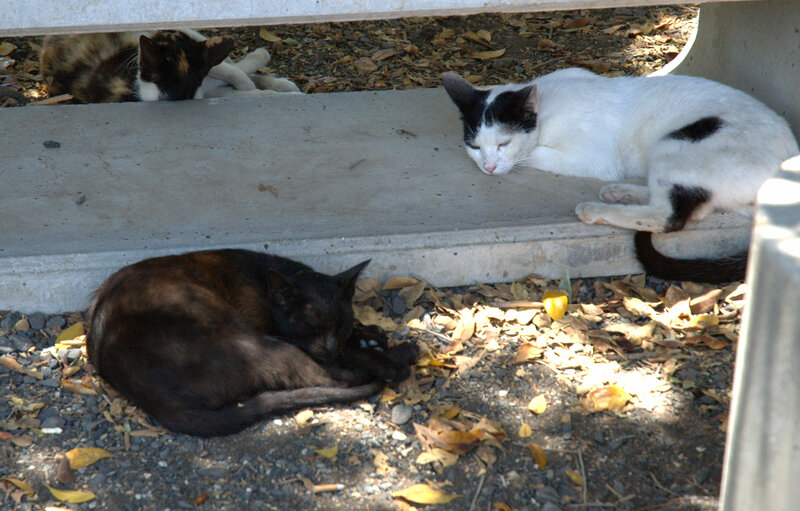 In other places, there were groups of cats hanging out. In Capernum, for example, there was a group of three cats who were a posse. Making themselves at home, in around, under and on top of this bench, they napped and groomed, seeming to enjoy the heat of the day. It was quite warm that day, which made it perfect cat weather. 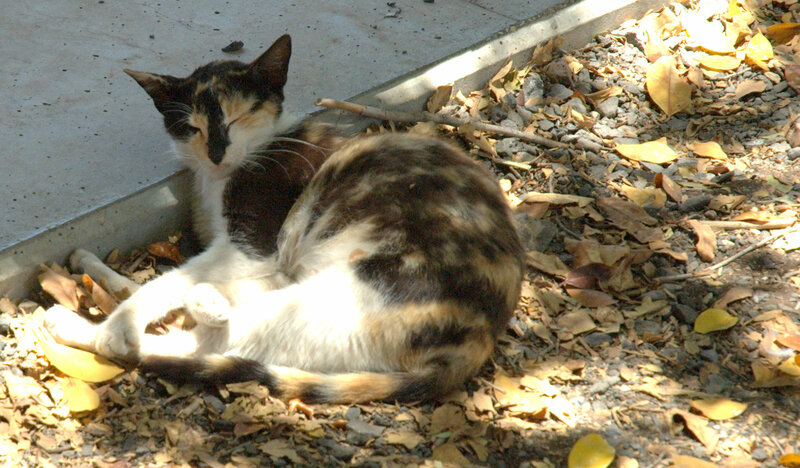 As with everything else in Jerusalem, the cats of Jerusalem are special. They clearly regard themselves as the guardians of the city, and take that responsibility quite seriously. Admittedly, there are some who seem a bit more, ah, engaged in the whole watching over everything than others. 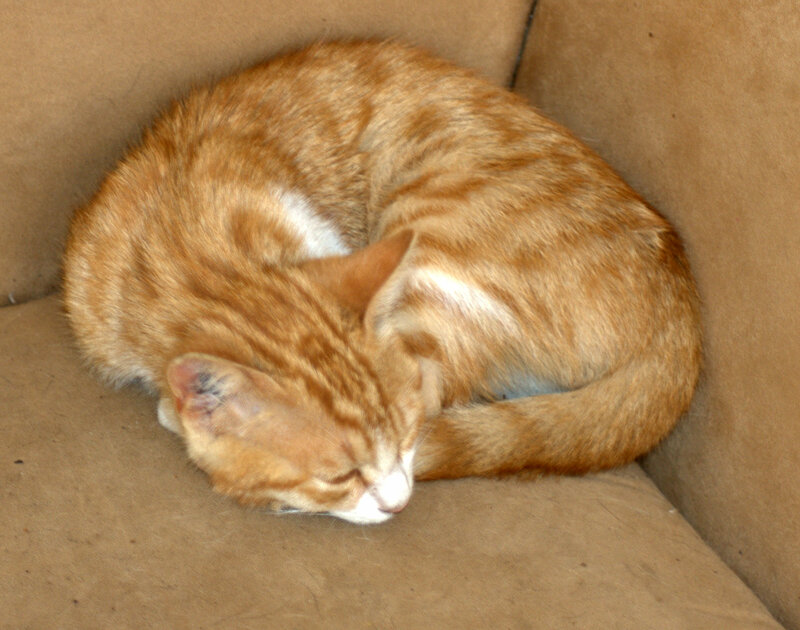 Case in point: this feline somehow managed to find a soft couch to use as his base of operations. 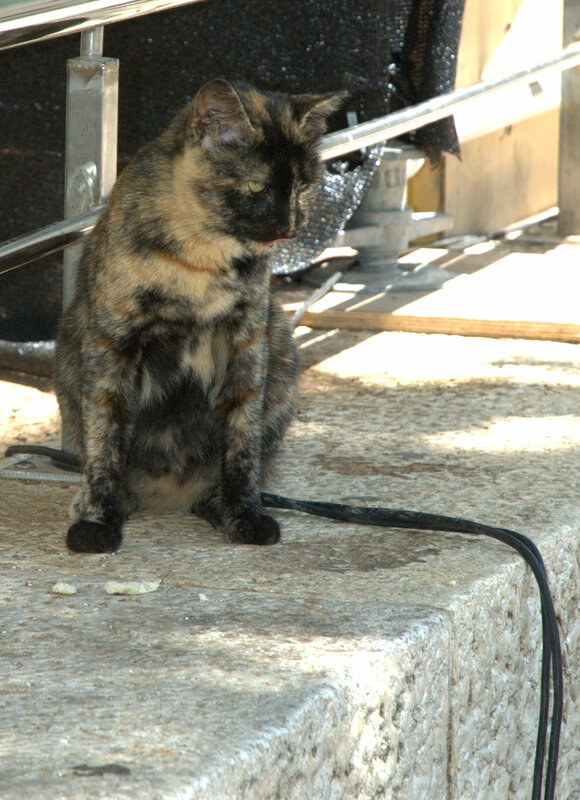 Most other cats in Jerusalem were out and about, whether supervising the Western Wall crowds, as these two kittens were, or stalking the wild discarded pizza, like this leopard-like fellow. And then, there were the cats who simply sat and supervised, whether amid archaeological ruins or a wall in the old city.